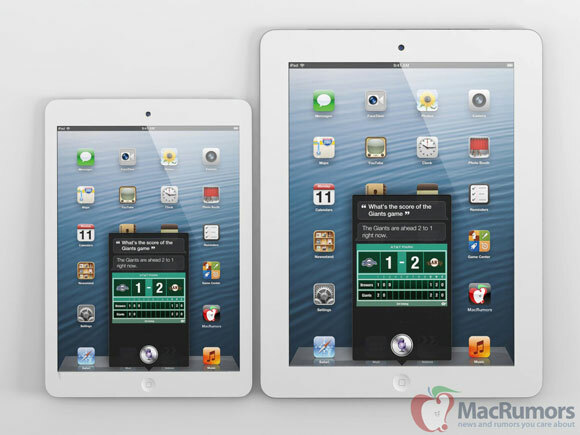 Japanese blog Mac Otakara reports that it has received information from a source indicating that Apple's assembly partner Foxconn has begun production on the forthcoming "iPad mini" at its facilities in Brazil. The report seems to be a follow-up on the site's July report claiming that production would begin ramping in Brazil in September. According to my source, iPad mini was started production in Brazilian factory. I don't have information if it has been produced in Chinese factory, yet. Foxconn has been working to ramp up iPhone and iPad production in Brazil, negotiating with government officials there for tax breaks to help tap into the large workforce in the country and to help its partners such as Apple circumvent high import taxes on foreign-made goods in the world's fifth most-populous country. Mac Otakara's source indicates that the iPad mini units in production in Brazil lack a small hole near the top center of the device's rear shell, which some had speculated was for a microphone. That feature has appeared on cases and design drawings that have leaked over the past few months, as well as in the numerous physical mockups currently circulating. Apple will reportedly be introducing the iPad mini at a media event scheduled for this month, with a source reporting to Fortune that Apple is rumored to be sending out invitations on October 10. Based on Apple's typical timelines, the media event would take place about one week later. "I want an iPad mini"
Because you don't want one, no one else could want one ever. Always wanted the 7"-ish size. OK, I'll take an iPad mini please. Actually, I'll take two. "I would buy an iPad, but really I think a Kindle Fire is all I need and it's cheaper." Because as we all know, the 11 inch MBA completely killed the 13 inch rev, which eventually drove Apple out of business. I've said it. Lots of narcissists on this forum. you just wait for the sales figures. lets come back in a few months and go over this statement.